We are very proud and grateful for the support from globally renowned leaders and visionaries from Hamburg and Geneva Airport, Airbus, Uriel Aviation Holding HongKong, Amazon, A-Rosa, German Aerospace Center, Trinity University, Luxembourg Center for Logistics and Supply Chain Management, ISM International School of Management, Ukraine International Airlines, TUIfly, Heinemann, Bold Endeavour Group, Soundreef and more. They help to make our "think future" event a success. Special thanks to Michael Eggenschwiler, CEO at Hamburg Airport, who is the Chairman of the Advisory Board for our think tank. 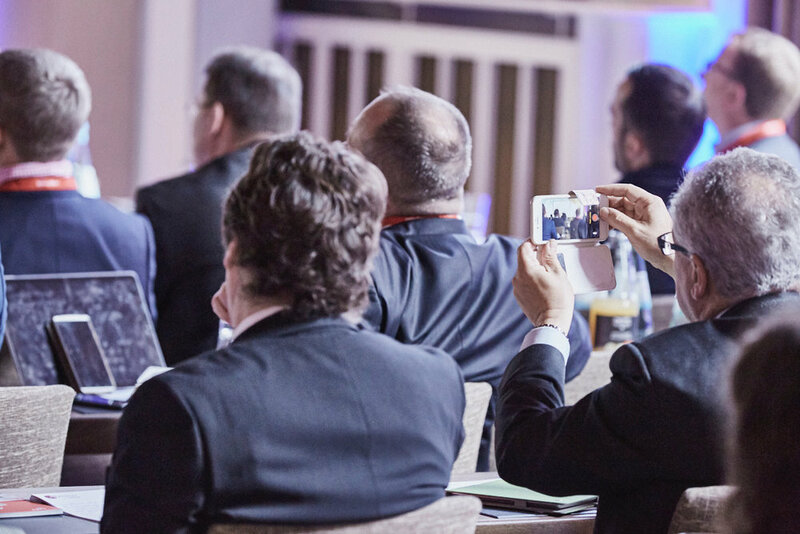 Hamburg Airport originally created the conference in 1998 and was key to help us with the complete repositioning and globalisation of the event in 2014. The event is now organised by XXL Solutions, and we use it as one of the elements to bring innovation to aviation and the travel eco system, and to help and get the industry ready for the digital age. Michael Eggenschwiler has been CEO at Hamburg Airport since 2005. Starting his professional career at Crossair later was Member of the Executive Board at Swissair, last being responsible for sales & marketing in Swissair's home market Switzerland. 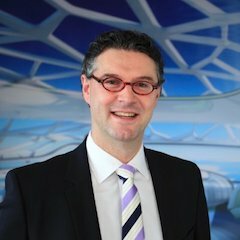 From 2007 to 2010 he acted as President of the German Airports Association ADV and is currently Board Member of ACI Europe and VP of the Germans Airports Association ADV. For more details please check Michael's linkedin profile. Bratati Ghosh is the CEO of Turn the Bus, a Seattle based non-profit organization focused on leveraging digital technology and education to scale sustainable development solutions. Bratati has worked globally in Travel e-commerce for 20 years, since the inception of the category, with companies like Expedia, Travelport and Tata Consultancy Services. Most recently, Bratati served as the Chief Marketing Officer of IBS Software for three years until May 2018. Bratati has a Bachelor’s Degree in Electrical Engineering from the Indian Institute of Technology, Kanpur, and a Post Graduate in Management from IIM Ahmedabad in India. Bratati is passionate about leveraging the power of digital technology to transform society, communities, industries, business models and business functions. Whether it be in the context of a disruptive for-profit or not-for-profit start-up, a large enterprise, or a global community, digital transformation is what she loves to work on. Watch this YouTube video (Feb 2018) from her keynote speech at our last event in February to understand her views on digital transformation and get insight about the innovation eco-system. Andrew Cowen is Vice Chairman at Uriel Aviation Holding, a technology company in China, advancing fast with investments and no. 170 of the Forbes 500. 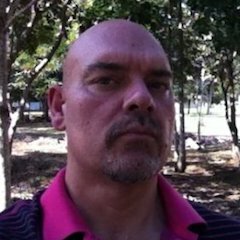 Andrew is also CEO at U-Fly Alliance. Before this, he was CEO with Hong Kong Express Airlines, responsible for leading Hong Kong's one and only LCC through a high growth phase and into sustained profitability. He has 27 years of experience in the aviation industry, initially with British Airways before focusing on the emerging low cost airline sector. Check here for Andrew's linkedin profile. Philip Micallef has a vast experience particularly in innovation projects & aviation and telecommunication transformation. He is currently non executive Director and strategic advisor to Eire Start Up and is a non-executive board member in a number of innovative companies in Malta. Philip combines telecommunications experience with aviation know how. He led Air Malta through a challenging change period as CEO and worked among others for Bermuda Regulatory Authority, Melita Cable, Malta Enterprise. Watch the interview with Philip at think future 2018. Carl’s background includes over two decades in travel. After a career in consulting, he joined British Airways in 1995 and a year later was running Deutsche BA, then Germany’s second largest scheduled carrier. Carl helped to set up Opodo and has been involved in numerous businesses, including Holidaybreak and Generator Hostels. He was on the Board of Austrian Airlines. He is now Chairman of two very different businesses – Veeve, a luxury home rentals business based in London and Paris, and A-Rosa, a major German premium river-cruising business. 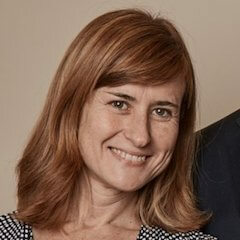 Marisa Blasco Bayona is globally one of the leading experts and innovators in terms of revenue management and pricing. Marisa is always curious about where the industry is moving and how technology can help to deliver customer expectations while finding additional sources of profitable revenue. She holds more than 18 years experience in the travel industry, covering different countries and different business models. Marisa has implemented successfully new processes and systems throughout her career, based on best practices and a number of innovative developments in the area of big data & process-re-engineering. See also linkedin. After 8 years of consultancy in marketing and strategy for various industries Pierre Germain joined Geneva International Airport in the early 90's as commercial director in charge of network development, marketing and communication, real estate and retail activities. A few years later he was also appointed chief financial officer and is now Director for Commercial and Business Development. Pierre has been very active in changing the airport into a commercial and profit-oriented independent public corporation and is currently focusing on development of airport e- services as a major tool of B to C strategy. For more details please see Pierre's linkedin profile. Since October 2016 Roland Keppler has become CEO of TUIfly, a company he had already managed some years earlier. Before this, Roland Keppler was CEO of the char sharing company car2go.In 2009, he was appointed CEO of Europcar’s German subsidiary and Europcar group CEO in 2012. Roland left Europcar in July 2014 after a thorough transformation process. Educated as an engineer, he began his career in 1992 as controller at Preussag AG, before joining airline Hapag Lloyd in 2002, where he was appointed Finance Director of its low cost branch, Hapag Lloyd Express.He was appointed CEO in 2005. Following the merger of Hapag Lloyd and HLX to form TUIfly, Roland Keppler was named CEO of TUIfly in 2007. For further details see his linkedin profile. Ursula held senior executive positions with Lufthansa Passenger Services and Lufthansa Systems, British Airways, Virgin Express, Brussels Airlines, the TUI group, Aerosvit Ukrainian Airlines. She founded the boutique consultancy XXL Solutions - do things differently in 2010. Customers include Aer Lingus, Monarch Airlines, Air Malta, Peach Airlines (Japan), Hamburg Airport, a number of travel tech start ups as well as ebay, banks and insurances. She also has an academic life replete with lots of theorizing, writing, lecturing, speaking about all this stuff. Her chapter about "Aviation of the future - what needs to change to get aviation fit for the 21st century" will be published in November 2018. She is MD at the Hamburg Aviation Conference. She is about to launch the virtual innovation club to ease the transformation and innovation process. See also linkedin. Montie R. Brewer has been a Non-Executive Director at Aer Lingus Group plc since January 2010 as well as Director at Allegiant Travel Co. He was appointed to the Board of Directors of Swiss International Air Lines in September 2013. Under his leadership as CEO, Air Canada became the clear North American leader in pricing innovation. Montie is an airline veteran and a recognized industry innovator in airline pricing, sales and distribution strategies and particularly noted for his command of airline revenue models and for mentoring a generation of airline planning personnel. For more details please check Montie's linkedin profile. Volker Gollnick started his professional career at the German Forces Flight Test Center as a flight test engineer and research engineer for rotorcraft handling qualities and flight control. In 1998 Volker became a project manager for aero engine test rig development at Daimler Chrysler Systemhaus until he took over the position of head of department at Eurocopter for cockpit systems and simulation. He was also programme manager and senior expert for guidance, navigation and control at EADS. In his research Volker Gollnick focuses on operational improvements and changes of sustainable but efficient air transportation systems. See more on linkedin. Dr. Franz Josef Kirschfink is the “chief pilot” at the Aviation Cluster Hamburg Metropolitan Region. Hamburg Aviation is an agile industry network, a public-private partnership with more than 90 members from the aviation industry, research, academic teaching and training institutions, and representatives of the government of the Free and Hanseatic City of Hamburg. Together, the partners want to bring more innovations to fruition. Franz Josef is a proven aviation expert. He began his career at Lufthansa and took on the reorganisation of Lufthansa Technik before he joined Hamburg Aviation. Franz Josef studied physics at the RWTH University in Aachen and in 1989 began his career at Lufthansa. More about Franz Josef Kirschfink here. Patrick Murphy is Chairman of the Aviation Group at Performance Consultants International, a major provider of advisory, coaching and mentoring services to many industries around the world. He has over thirty-five years experience in the airline industry. Patrick’s early career was with Aer Lingus where he was responsible for marketing, sales and strategic developments. In 1992 he was appointed Chairman of Ryanair and oversaw its transformation from a traditional full-service regional airline into the low-cost airline that it is today. For the past 15 years he has been a consultant and advisor to a number of airlines including LAN Chile, Gulf Air and All Nippon Airways as well as working for IATA. He is still chief advisor for Peach Airlines. See more details on linkedin. Mairead Brady is Assistant Professor of Marketing and Technology at Trinity Business School, Trinity College Dublin. She gained her Ph.D. at the University of Strathclyde in September 2001. Her main research is on technological impacts on marketing practice though she also works with in the educational area on technoligical development within learning and assessment. She also has research in the simulations and online game based learning adoption within the university environment. Dr Brady has over 80 publications with publications in the Journal of Marketing Management, Psychology and Marketing, Journal of Business and Industrial Marketing, International Journal of Technology Marketing and more. See more details on linkedin profile. 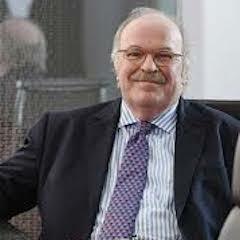 Gunnar Heinemann is general partner and member of the Gebr. Heinemann board and president of the German Travel Retail Association. Heinemann maintains trade relations in many different countries across five continents, from the world largest arrival duty free airport shop in Oslo to Joint Ventures in Russia or Frankfurt, from the border shop in the Czech Republic to Heinemann Americas. Gunnar Heinemann grew up in Hamburg. He studied Economics in Zurich and subsequently stayed in London and Paris. In November 1978 he entered Gebr. Heinemann as co-owner. Please check more details on the corporate website. The Bold Endeavours Group has just presented with great success their latest innovative solution for DAM (Digital Asset Management) in New York. Derek Mansfield is President of the Group, which has been involved in advanced DAM, CMS and eCommerce vertical systems for banking, retail, specialist Video/Broadcasting environments and various other industries for more than 20 years. Customers include broadcaster RAI TV in Italy, Sony, Universal Music and Films worldwide, as well as Citibank and Austria 's ProCreditbank. Derek Mansfield is a true entrepreneur, and has a proven track record of various types of business ventures. Following a successful career in Advertising and Marketing, Mansfield became hooked on the Internet in 1992. See more about Derek on linkedin. Dr Eyden Samunderu is Program Director for a Masters in International Business program at the International School of Management (ISM) in Dortmund. He is a leading consulting expert with a global perspective experience in air transport and holds a PhD in Strategic Management. Prior to a career-switch into academia, Dr Samunderu worked in the UK for Alfred Dunhill, Merrill Lynch, Oliver Wyman as a Senior Strategy Consultant. He has been actively engaged in lecturing advanced level courses in Strategy at Saint Louis University, Suffolk University and Schiller International University in Madrid, Spain and was a Senior Consultant for the Institute for the Advancement of Business and Technology, a research think-tank in Spain. Please find more details about Eyden Samunderu on linkedin. Thomas Winkelmann has joined the logistics company "Zeitfracht Luftfahrt Holding" as Chairman of the board in August 2018. He had taken over as CEO of Air Berlin PLC from 1 February, 2017, succeeding Stefan Pichler. In October 2017 Air Berlin announced that it will cease operations. From November 2015 to January 2017 Thomas Winkelmann was with Lufthansa and managed Lufthansa's southern hub in Munich. He was also responsible for Finances and Controlling at Lufthansa German Airlines. Before this, Thomas Winkelmann had been the Spokesman of the Executive Board of Germanwings GmbH since 2006. 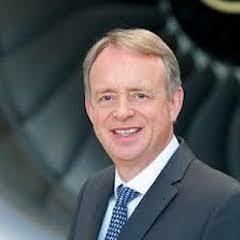 Thomas Winkelmann (55) started his career at Lufthansa in 1998 and was assigned responsibility for North and South America at the airline's office in New York in 2000. In 2006, Winkelmann moved to Germanwings GmbH in the German city of Cologne as the Spokesman of the Executive Board, where he was responsible for strategy, communication and all of the company's commercial areas. Please find more details about Thomas here. Sergey Fomenko is EVP Sales and Marketing with Ukraine International Airlines. He has extensive experience in aviation. Among others Sergey was the Country Manager in Ukraine for KLM and Northwest Airlines. During his time with KLM Sergey managed to overcome political constraints and increased the profitable operation between Kiev and Amsterdam. He also co-organized the first codeshare agreement of KLM with Ukraine International as the first Eastern European carrier. Sergey had initiated the transition from commission based to service fee based sales principles and the IATA BSP activities in Ukraine. Please see linkedin. August Wilhelm Henningsen has been Chairman of the supervisory board at Hamburg Airport since 2015. Henningsen departed active working life in April 2015 when he retired from his position as Chairman of the Executive Board of Lufthansa Technik AG in Hamburg. He led this aviation group, with around 26,000 employees in 30 different companies worldwide, as Chairman of the Executive Board from 2001 to 2015. He began his career as a Systems Engineer with Lufthansa in 1979. After fulfilling various management positions, he was appointed as General Manager of Ameco Beijing in 1997, a joint venture between Deutsche Lufthansa and Air China. He studied mechanical engineering with focus on aeronautics at Brunswick Technical University. Benny Mantin is a professor at the University of Luxembourg and an instructur at the Istanbul Technical University. Before, Benny was an associate professor in the Department of Management Sciences at the University of Waterloo, Canada. He received his Ph.D. from the University of British Columbia, and M.Sc. as well as B.Sc. from Tel-Aviv University. His research covers different aspects of dynamic pricing and revenue management, supply chain management, and transportation economics. It focuses on understanding consumer behaviour in the context of dynamically priced goods through analytical models. Please find more details about Benny Mantin on linkedin. Massimo Scialò, Soundreef, Emergenza Group, Sapienza Uni. Massimo Scialo' is a professor in IT Marketing and communication at the Sapienza University in Rome. In 2017 he joined Soundreef as Director International Sales. He has been CEO at Emergenza Group since 1992. Massimo's vast experience covers International Rock Tour organizations across the world. He was also Financial director, HR manager and "start up strategy" director for different music related companies in both Europe and North America. Next to IT marketing, communication strategy for entertainment and music Internet based companies he is also an expert on youth culture and youth life style products/services. His book "the secrets of rock" has since adopted as a reference text book in several universities across Italy. Please find more details about Massimo on linkedin. In his role as VP Airbus Marketing Ingo Wuggetzer is responsible for the complete coverage of all Cabin Marketing activities – starting with Trend & Market Research to identify Future Customer Needs, up-to Customer campaign activities to create value added solutions by consumer centric approach. Therefore he also drives the relevant channels to promote cabin advantages, including fairs, exhibitions and the Sales mock-up centre. He is also a board member of APEX (Airline Passenger Experience Association). In his former role as VP Strategy, Innovation & Design, Ingo established a consumer centric approach, covering key upstream services ‘trend and market research’. On this basis, Ingo set up a cabin product and technology strategy as a guideline for future cabin innovations. Please find more details about Ingo on linkedin.